KEMAMAN POINT is located at 5 JALAN KEMAMAN in district 12 (Novena, Thomson, Toa Payoh) of Singapore. 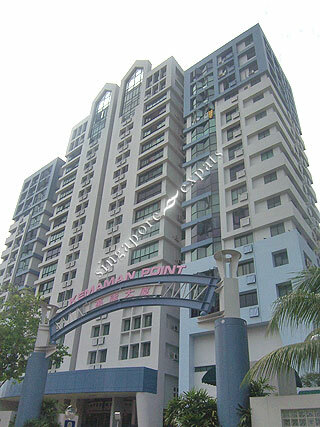 KEMAMAN POINT is a Freehold Condo development consisting of 89 units. KEMAMAN POINT is completed / TOP in 1993 (estimated), developed by VICTORY REALTY CO. PTE LTD (FAR EAST ORGANIZATION). Educational institutions like GLOBAL INDIAN INTERNATIONAL SCHOOL, SAN YU ADVENTIST SCHOOL, ST JOSEPH INSTITUTIONAL INTERNATIONAL, BALESTIER HILL PRIMARY SCHOOL, HONG WEN SCHOOL and KHENG CHENG SCHOOL are near to KEMAMAN POINT. KEMAMAN POINT is accessible via nearby TOA PAYOH, NOVENA and BOON KENG MRT Stations.